Please enter your email address and password to access your membership. If you are not a member of the Alle-Pia Salumi Club, please sign up today! Each small batch of our Alle-Pia products is created with love by the talented Antonio Varia, Chef and Owner of Buona Tavola Restaurants in San Luis Obispo and Paso Robles, located in the beautiful Central Coast region of California. 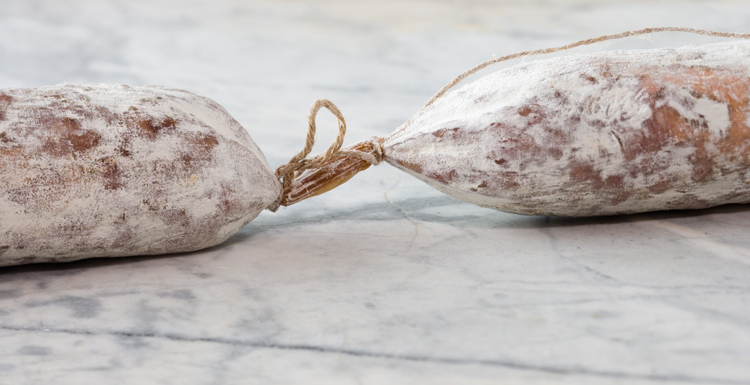 Alle-Pia Salami is made on the Central Coast of California with the finest ingredients using traditional old world family recipes. Handcrafted and created with love under careful supervision in our USDA inspected state-of-the-art facility. Alle-Pia is crate-free, vegetarian fed pork, no hormones or antibiotics, no Nitrates or Nitrites, and preserved without chemicals using a natural extract of Swiss Chard. Every batch of salami requires careful supervision and timing to ensure the perfect taste and consistency.